Entrepreneur and current American 800-meter record-holder Nick Symmonds is auctioning off some ad space on his right shoulder on eBay. The space is available for the remainder of the 2016 outdoor season, including through the Olympics, should he qualify. 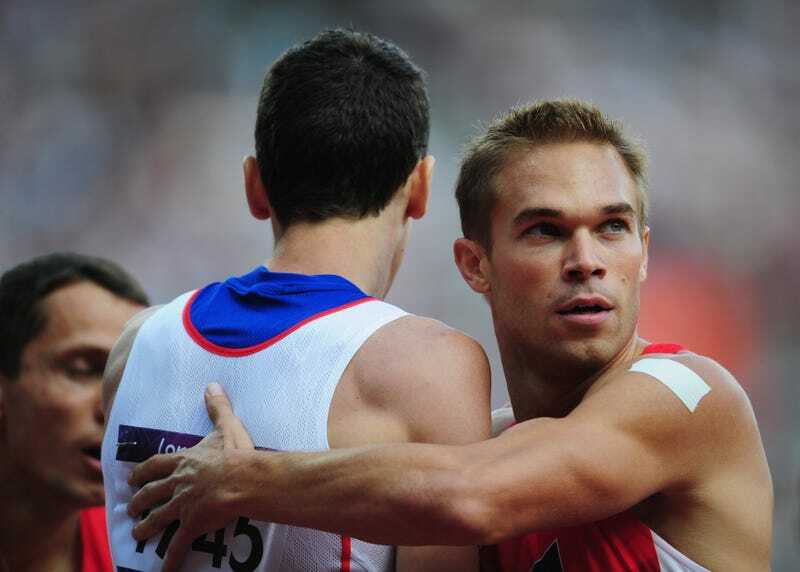 This is Symmonds’s second go at deltoid marketing. Prior to the 2012 London Olympics, where Symmonds represented the U.S. at 800 meters, he sold his shoulder space to Milwaukee ad agency Hanson Dodge Creative for $11,100. During competition, he covered Hanson Dodge’s temporary-tattooed logo with white tape, underscoring his long-standing beef with Olympic and international track and field organizations’ restrictions on athletes’ ability to market themselves. Then as now, selling his skin is more a statement on athletes’ rights than about raising revenue. Most sports have a governing body, U.S. Soccer, for example, and a separate organization to manage the domestic professional side of the sport, like Major League Soccer. Track and field held onto its roots as an Olympic sport, thus remaining purely amateur, and never developed a professional association. There is no league salary structure or guaranteed income; runners are on their own when it comes to courting sponsors. That is, unless they make the big time—an Olympic or World Championship team. Earlier this year, Symmonds’s company, Run Gum, filed an antitrust suit against USATF and the U.S. Olympic Committee for not allowing the company’s logo on uniforms at last July’s Olympic track trials. At last check, Symmonds has received 67 bids for the ad space, topping out at $5,100.